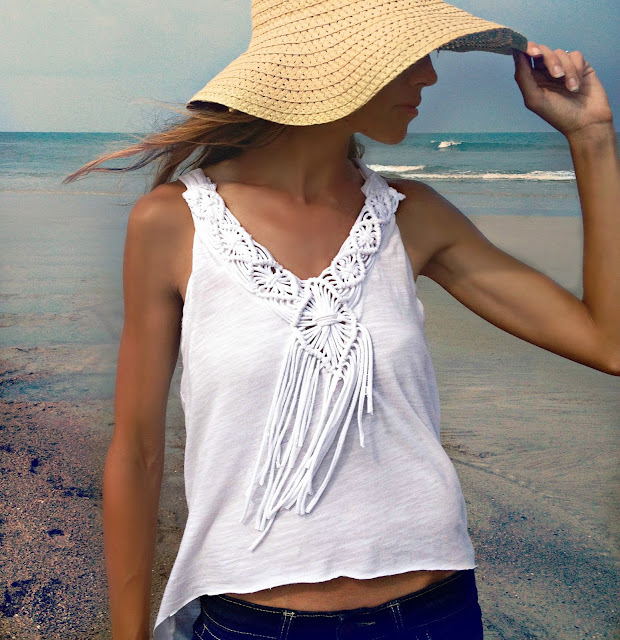 I love the simplicity of macramé along with the detail it gives to my designs. 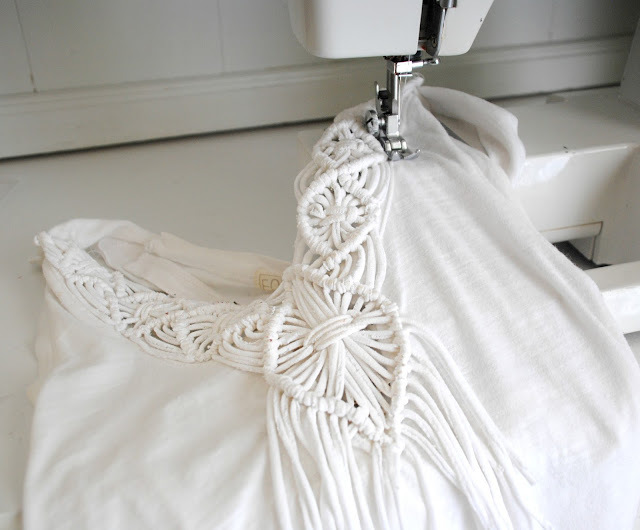 You will want to learn the knots from the first macramé project -here- before starting. Cut strips of a tshirt and pull for the strings. you will need 11 strips that measure about 62 inches. Once completed top stitch the piece along a collar or even the back as a racer-back. I am kind of confused...all 11 strands together equal 62 inches? Very nice! Who knew T-shirt scraps could look so good! Beautiful.... :) would it be possible to use cotton instead or is not stretchy enough? This is really pretty! Would the ends fray after washing? A quick question... do you need an extra large shirt to cut out the strings? or will a medium size be okay?